Nestled in the northwest region of the fabulous Minneapolis-Saint Paul metropolitan area, the outstanding city of Maple Grove, Minnesota, boasts a wonderful community, an exceptional location, plentiful entertainment opportunities, and much more. Regardless of your interests, you will not struggle to find fun activities to fill your free time. Whether you are interested in spending time outdoors, exploring thriving arts districts, cheering on your favorite professional sports teams, or something else, you are sure to discover enjoyable activities that complement your favorite pastimes. Beautiful Maple Grove, Minnesota, single-family homes, townhomes, and condos are waiting to impress you, so now is the time to consider what it would be like to live in this marvelous city. When you choose to be a resident of this scenic city, you will have easy access to beautiful natural areas, entertaining events, and eclectic metropolitan life. For example, there are many astounding lakes and parks in the area. Imagine spending time in stunning Elm Creek Park reserve or relaxing by one of the beautiful lakes in the area. When you are ready to head indoors, you will enjoy shopping for unique items at The Shoppes at Arbor Lakes, which is one of the Twin Cities’ biggest shopping locations. 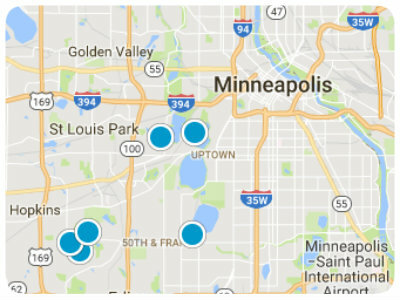 Because superb Maple Grove is conveniently located, the benefits of the Twin Cities will only be a short drive away from your lovely home. Imagine dining in an exemplary restaurant, attending an exciting professional sports game, or touring an impressive museum or art gallery. Furthermore, you will enjoy experiencing the vibrant nightlife scene, as well as the numerous fun festivals that Minneapolis and St. Paul host every year. No matter where your adventures lead you, you will be content to think of your extraordinary Maple Grove single-family home, townhome, or condo awaiting your return. Of course, more fun also awaits you within the borders of this splendid city. For example, the weekly farmers market, held inside the comfortable community center during the off-season, is an excellent place to find local produce and catch up with your friendly neighbors. When you choose to live in this incredible city, you will not have the opportunity to be bored. A fantastic location, lovely residences, and a welcoming community are only a few examples of what this magnificent city offers. Attractive Maple Grove, Minnesota, real estate options are ready to pique your interest, and you are sure to find something that suits your style. If you are ready for more information regarding gorgeous Maple Grove, Minnesota, single-family homes, townhomes, and condos, please do not hesitate to contact us. Listing courtesy of The August Agency, LLC.